If you are applying for this course from within the UK/EU click apply now. Experience training with the airline industry. Cover concept areas including marketing, global tourism, aviation safety and more. Graduate prepared for a range of related careers. The world tourism and aviation industries have continued to flourish with increased international travel. This course will give you both academic and practical insight into these fascinating sectors and will help to prepare you for a range of related careers. You will experience training with the airline industry as well as a range of field trips which will bring the subject to life. You will also cover key concept areas including marketing, global tourism, aviation safety and security, the environment and hospitality. This course offers a clear route to graduate employment; as the Department of Tourism is a member of the Swissport Academy, you will explore continuous learning opportunities through airport visits, experiential learning, and guest speakers from Swissport to develop in-demand skills for a career in the aviation industry. 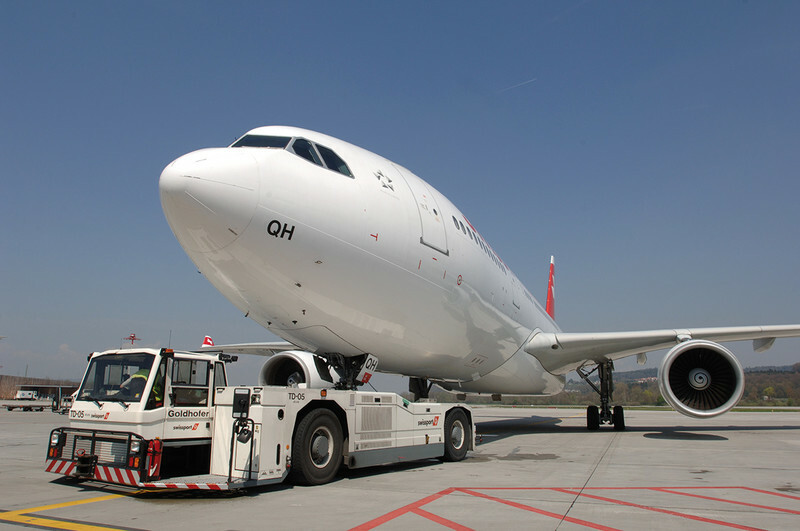 In addition, you will be guaranteed an interview for the Swissport graduate scheme. All students on this course are eligible to register for the Institute of Hospitality Education Membership Scheme. A typical week for you will include lectures, seminars, study visits and group work. These are supported by a range of guest speakers from diverse academic and industry backgrounds. Our teaching team are passionate about their subject and leading academics who produce world-leading research. Your progress will be assessed by essays, presentations, portfolios of evidence and project work which will help you to build a range of skills in support of employability. Gain a fundamental understanding of theories and models appropriate to tourism and hospitality management. Analyse definitions, commonalities and distinctions of tourism and hospitality management. Consider mass and 'niche' products, 'alternative' tourism, transportation, attractions management, National Parks and protected areas, and tourism, society and the environment. Profile tourism in various regions and destinations, exploring key issues and impacts associated with the development of tourism via a variety of global case studies. Contextualize the changes and impacts of the tourism phenomenon in destinations beyond the UK. Use illustrative case studies to differentiate the key issues in global tourism on a global regional basis, including Asia, the Pacific, Europe, the Americas and Africa. Receive training and practice in a range of learning and information skills relating to the service sector. Take part in specific workshops to cover information gathering, critical reading, note-taking, essay writing, group work, and written, graphical and verbal presentation. Develop confidence in taking responsibility for your own learning, be more independent, be a more effective learner and be able to motivate yourself. Get an introduction to the concepts and functions of marketing and business in the context of the service sector. Explore the economics of the service sector, understanding today’s consumer, product development, marketing and business planning, segmentation and research; distribution channels; marketing communication and advertising. Appreciate the growing importance of the aviation industry in the contemporary global economy. Develop your understanding of the scale, scope and structure of the aviation industry. Analyse the key stakeholders, including regulatory bodies, commercial airlines, alliances, airport and terminal services and their roles, as well as the current issues and trends affecting the aviation industry. Understand the importance of the political, economic, social, regulatory, and technological and environmental factors within the aviation industry. Analyse the environmental challenges affected by the aviation industry, including noise, emissions, and waste management. Discuss regulatory frameworks, including the influence of global and national aviation organisations, changing societal values, climate change, alternative fuels and carbon neutral growth. Explore current, important conceptual and practical issues relating to tourism development and management, and gain theoretical context for contemporary debates. Focus on critical debates, developments and case-studies of tourism development with information drawn from a range of sources. Consider media representations of tourism products, motivations and the processes of tourism development, management and marketing. Gain an understanding of the principles of research design and fieldwork, preparing you for research projects that you will undertake later in your university study. Discuss the philosophical underpinnings of quantitative and qualitative research methods and enable yourself to undertake ethical research using participant observation and ethnographic methods, interviewing and focus groups, and questionnaire surveys. Examine and explain aspects of management application from within different organisational contexts. Analyse and evaluate current business practice through appropriate data collection methods, including electronic sources. Derive and formulate feasible, realistic and cogent conclusions and recommendations to specific hospitality, events, aviation or tourism businesses. Reflect on your own expertise by making an application to these businesses via CV and covering letter. Discuss the global security threats, the key health and safety regulations affecting the aviation industry, the employers and employees responsibilities in preventing accidents and incidents, and the acts of terrorism involving civil aviation. Consider the importance of security awareness and compliance, risk management, risk assessment and accident investigation. Travel overseas on a one-week field visit within Europe – visits in recent years have focused on dark tourism in Prague, Krakow and Berlin. Get an introduction to the field area from preparatory lectures, before taking part in group visits and group survey work in the assessed task. Use data collected on the field trip to form the basis of your individual assessed work back in Sunderland. Examine the relationship between tourism and culture, particularly cultural tourism in different spatial and social contexts. Explore topics that include; tourist practice and performance; globalisation and trends in cultural tourism, festivals and events; cultural tourism festivals and events in urban context; cultural tourism, festivals and events in rural contexts; cultural tourism, festivals and events in Europe; cultural tourism festivals and events in the UK; tourism and cultural identities; issues of commodification and authenticity; modernism and postmodernism and tourism the media and popular culture. Produce a tourism development plan for a specified location/area, integrating the breadth of the course content through a practical exercise. Perform a tourism potential appraisal, propose an appropriate development approach for the area, make outline proposals for appropriate developments there; and devise key themes for a marketing plan for the area. Your work will be supported by a programme of lectures, group tutorials, guest lectures, site visits, and workshops. Examine the principles and practices of destination branding, exploring the importance of destination brands, but also the brands in general for the tourism, hospitality and event industries. Consider brand management, positioning and various branding models within the tourism and destination context, further exploring issues of destination image, nation branding and provenance, globalisation, national identity, crisis management and virtual branding within the destination branding concept. Gain awareness and knowledge of some of the HR processes, management and resourcing challenges that can be experienced when dealing and managing employees in industry. Showcase your current skill level when planning and hosting your own training session – a key area to performance and employment with high levels of investment. Critically reflect upon your own personal learning experience, professional performance and practice throughout. Make the most of a 48-week placement with a hospitality, events, aviation or tourism related company and graduate with a degree that involves placement in the title. Significantly enhance your chances of graduate employment – students taking this route in the past have benefited from greater employability. Find your placement with support from the University and get assessed in negotiation with your placement provider and placement supervisor. Explore the scope and nature of tourism planning from a political, market, environmental and visitor perspective. Consider the agency and structure of local, regional, national and international planning organisations alongside the dimensions of planning for tourism in the public and private sector. Analyse the role of local stakeholders in the planning process in relation to wider strategic models. Gain insight into the characteristics of urban tourism. Examine the re-discovery of the urban environment as a tourist destination – tourist arrivals in cities are constantly growing and increasingly more research has been undertaken to investigate the phenomenon of urban tourism. Cover topics that include: historical background and the development of urban tourism; tourism as a key to urban regeneration; the demographic, socio-economic and psychographic profile of the urban tourist; the supply side of urban tourism: services, infrastructure and activities; the impacts of tourism in the urban environment; managing urban tourism; the concept of place-marketing; trends and developments in urban tourism. Focus on an area of tourism or aviation management of your choice and design and implement a research proposal in this area. Set aims and objectives; select and implement research methods, conduct a literature review, collect empirical data and analyse appropriately. Benefit from expert supervision as well as training in research methods, research design and the interpretation of data and its relation to contextual material. Travel overseas on a one-week field visit, usually outside of Europe – for the past 12 years students have visited New York to research film-induced tourism and dark tourism. Get an introduction to the field area from preparatory lectures, before taking part in group visits and group survey work in the assessed task. Use data collected on the field trip to form the basis of your individual assessed work back in Sunderland. Explore the increasingly important area of food and drink tourism for regional economic development and identity formation. Examine the importance of food and drink products to the tourist experience and to destination success for those countries and regions closely associated with food and drink. Analyse the relationship between tourism and gastronomy and examine the direct and indirect advantages and disadvantages to local and regional communities associated with the development of gastronomic tourism and event initiatives. Explore various theories and principles associated with the management of service quality in tourism, hospitality and events. Analyse issues in service delivery for the service organization, employees and consumers. Develop an appropriate model for analysing service quality in a given service organization related to tourism, hospitality or events. Consider the impact technological innovations have had for the visitor economy in the areas of tourism, hospitality, events and aviation. Reflect on the empowerment of consumers through technology, in particular opportunities provided through social media and mobile technologies. Learn more about the current digital technologies impacting the visitor economy, such as social media, mobile technologies, augmented and virtual reality, and the concepts of co-creation. Prepare yourself for a career in industry as an employee, leader or manager. Investigate leadership and management styles and approaches as well as researching and debating equality and diversity issues. Gain a greater understanding of leadership and management challenges which occur every day in the wider world. Risks and crises are an inherent part of all businesses, but within the tourism and aviation sectors these aspects are compounded by the uncertainty derived from products, services, and consumers. In addition, it is common ground that tourism and aviation sectors are susceptible to crises and disasters, characterised by high demand and supply elasticity. This module allows you to critically analysis risk and crisis management and its integral part of strategic thinking within tourism and aviation companies and organisations. Discuss the business strategies for airlines and airports and their key revenue sources. Explore airline yield management and financial and economic benchmarking. Consider the importance of commercial strategies and competition, airtraffic management and aircraft evaluation and fleet planning. Develop your employability and gain an understanding of career pathways in the hospitality, events, aviation and tourism industry. Investigate work environments and study a number of important topics, such as career planning and pathways, communication and networking, presentation and interview skills and more. Discover and work towards securing a graduate job role or career. The St Peter’s Library contains over 31,000 books related to business, economics, management, human resources, marketing, strategy and tourism. Added to this, you’ll benefit from a wide range of journals and periodicals in the St Peter’s Library, many of them in an online format. To help you make the most of the wealth of resources, there’s a full-time librarian who is dedicated to the Business and Tourism sections. Further resources are available at the main Murray Library, which has a total of over 430,000 books with many more available through the inter-library loan service. The Student Learning Space is designed for business students, and it includes a boardroom as well as bookable areas to hold meetings and to meet with staff and clients from outside the University. There are also areas to facilitate group work and collaboration. You’ll find an excellent selection of tourism resources at St Peter’s Library, and you’ll have access to a full-time librarian who is dedicated to the Business and Tourism sections. Our typical offer will be in the region of 96 points from a minimum of two A Levels or equivalent (for example 1 x AVCE double award). We accept a maximum of 6 points from Level 3 Key Skills qualifications. If you feel you already know some of the topics covered in this course, either due to previous learning or from experience of work, then you may not need to study all of the course. Accreditation of Prior Learning (APL) is the name given to the process of gaining credit towards a qualification because of something you have learnt in the past. If you are eligible for APL you won't have to learn the same topic again, and so you can be exempt from a module, set of modules or year of a course. If you think you may be eligible for APL, please contact the course leader. Part-time fees are £6,935 per 120 credits. Please note, part-time study is not available to international students. Career options are broad as the tourism and aviation industries cover so many potential roles. As such, the knowledge and skills you will learn on the programme will provide a large range of opportunities including within roles such as various management roles, airline communications, hospitality facilitators, tourism planning and development, destination marketing and with hotels, travel agents, public bodies and international tourism companies. A top-up entry option is available to you if you have already successfully completed a Higher National Diploma (HND) or Foundation degree and wish to progress onto the final year of the Honours degree course. Topping up your existing HND or Foundation Degree will take one year of full-time study and may open up future career options to you depending on your chosen career path. Contact us to find out how you can get credit for your previous learning and top-up your qualification to a range of degrees.